Among the most popular and important cards in all of collecting. A wonderful Yankee HOFer and the kick-start to the high-number issue. 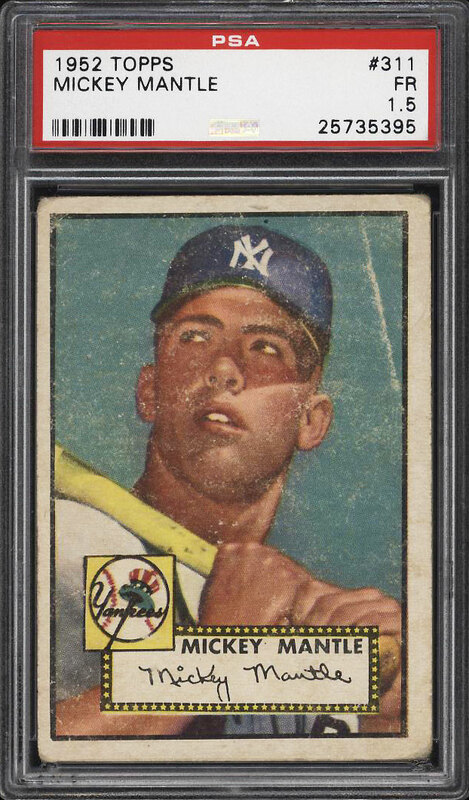 The offered PSA 1.5 retains a nice image of the legendary Yankee with attractive color and focus for the grade. Creasing and surface wear downgrade. A must-have for the serious Mantle investor. Worthy of attention. 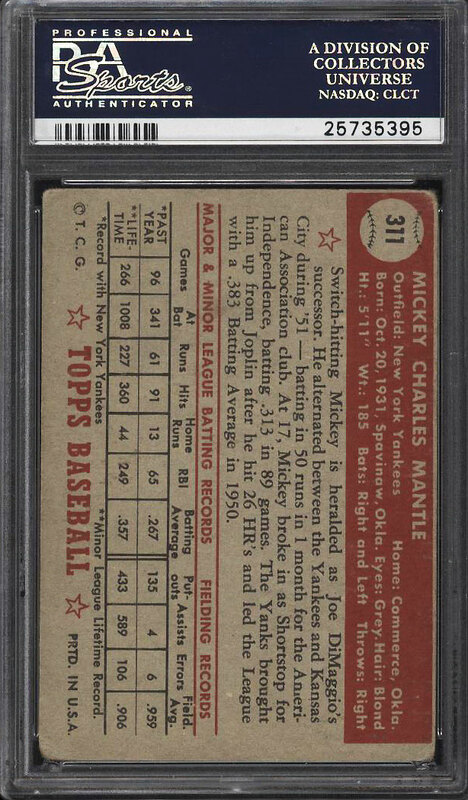 One of over 18,000 cards, lots and sets up for bid in our 8th Auction of 2018. Click on the link above to view the other PWCC auction lots.